How to convert M4A to MP3 with Xilisoft Audio Converter? 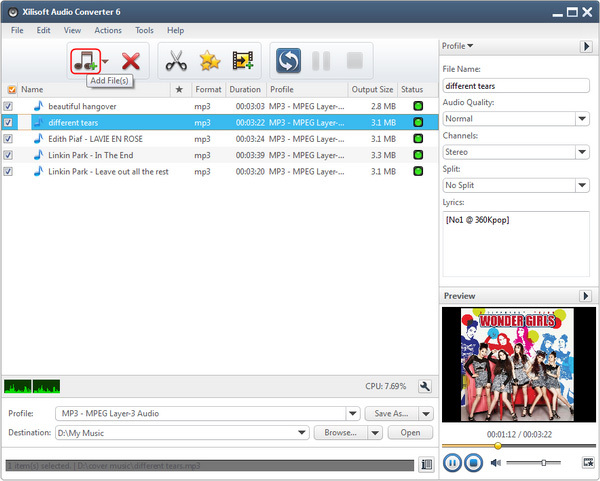 If you have a bunch of .M4A files in hand and want to convert these files to MP3 audio formats, Xilisoft Audio Converter can help you convert M4A to MP3 with superior music quality. 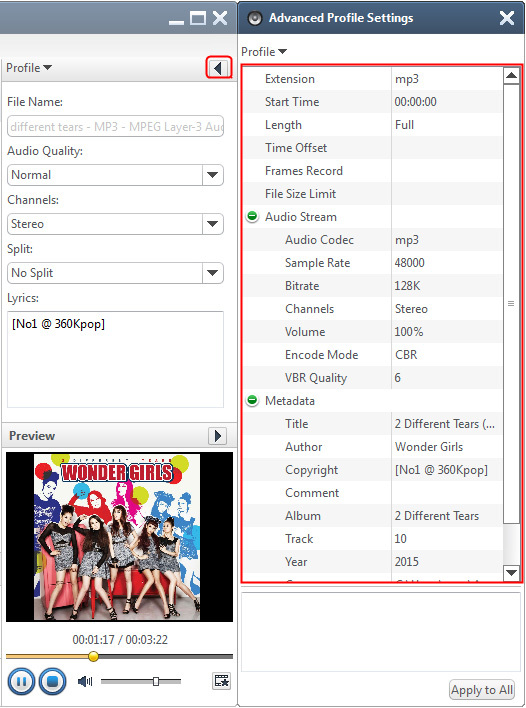 It can convert between nearly all audio formats (including MP3, WMA, WAV, AAC, FLAC, OGG, APE), and extract audio from nearly all video and HD-video formats (including AVI, MPEG, WMV, MP4, FLV, MKV, H.264/MPEG-4 AVC, AVCHD). 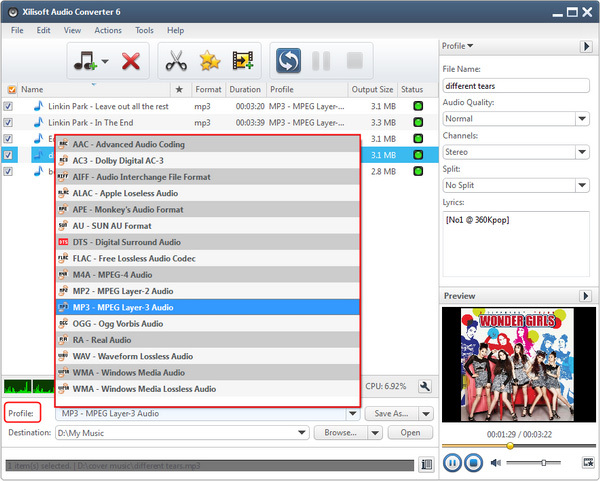 The tips below will tell you how to step by step convert M4A to MP3. 4. Click "Convert" button! After a few minutes waiting, you can play the converted MP3 files on your any portable music devices like PSP, iPod.